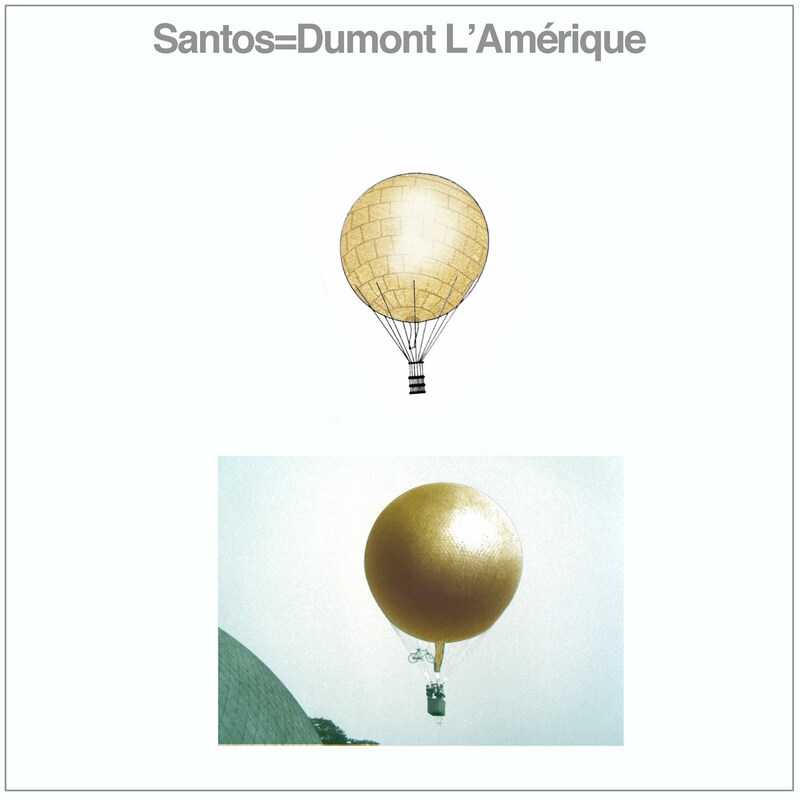 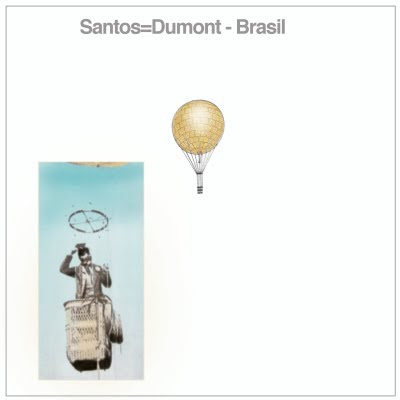 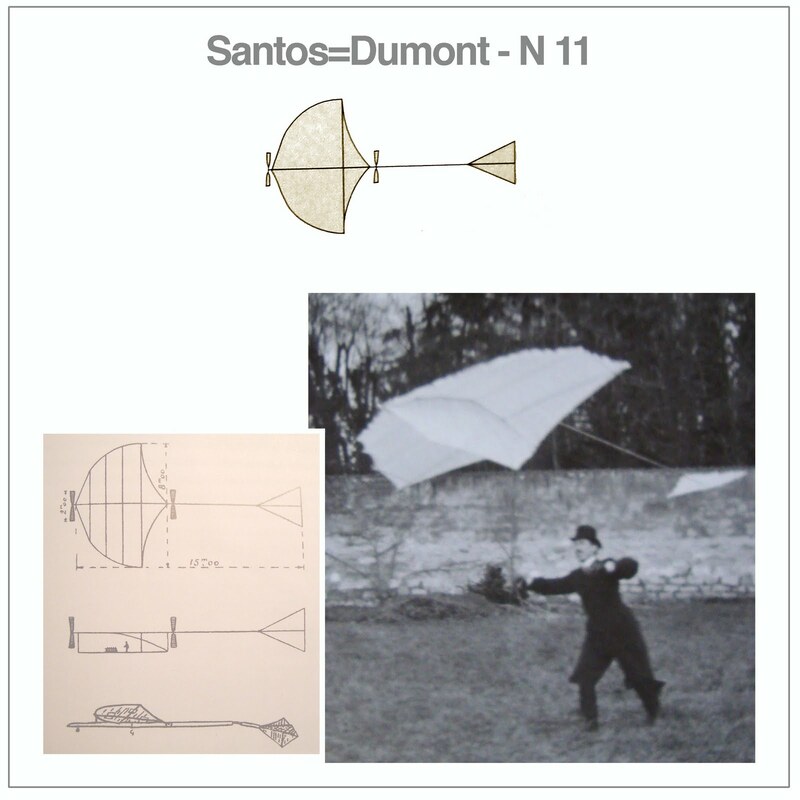 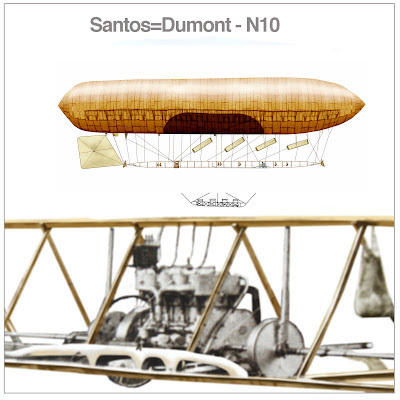 Santos=Dumont had a well defined line of reasoning, attacked the lighter than air vehicles and evolved step by step up to the heavier than air, and finally began his studies with the individual flight and ornithopter, "the inventor, as in the nature of Linnaeus, achieve no leaps: he evolves in a slow, gradual process. 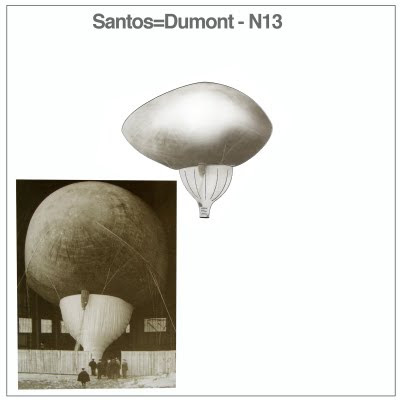 I have started by improving my ballooning pilot skills attacking the problem of dirigibility. 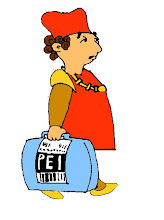 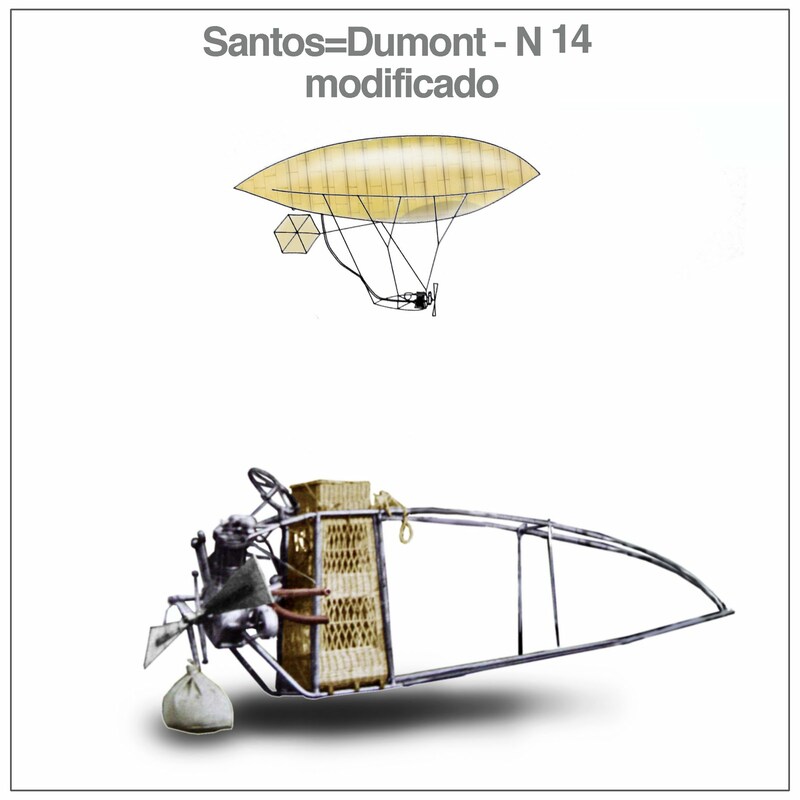 Than I became an aeronaut in the good management of my airships, for many years I have studied the background to the petrol engine, and only when I realized that their state of perfection was enough to make it fly, I attacked the problem of heavier than air". 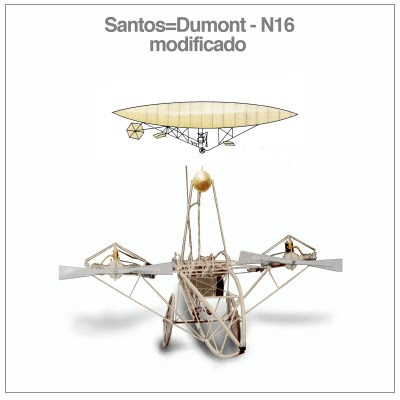 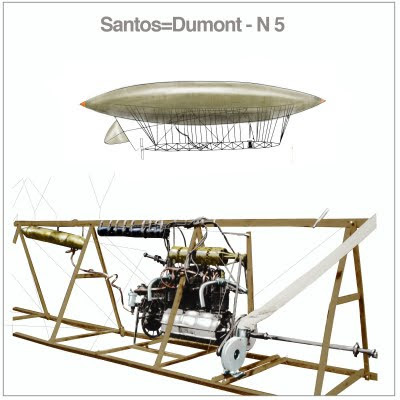 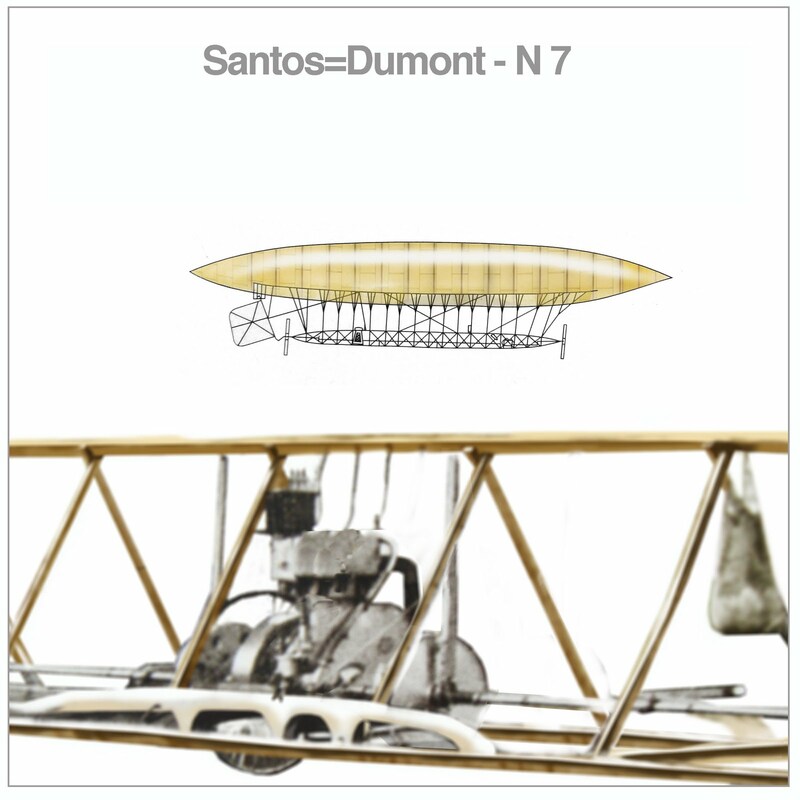 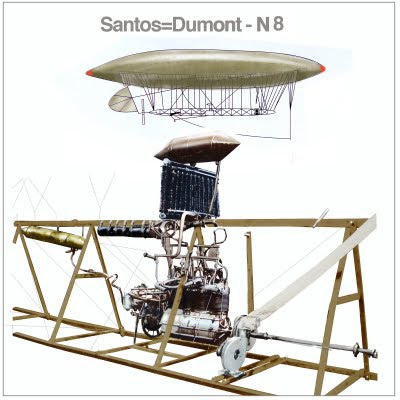 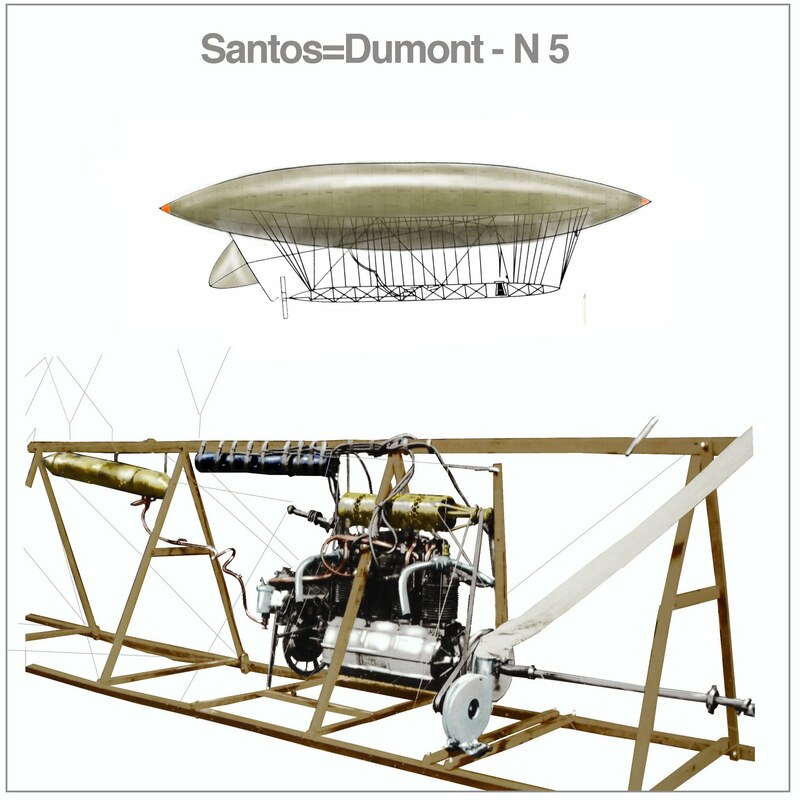 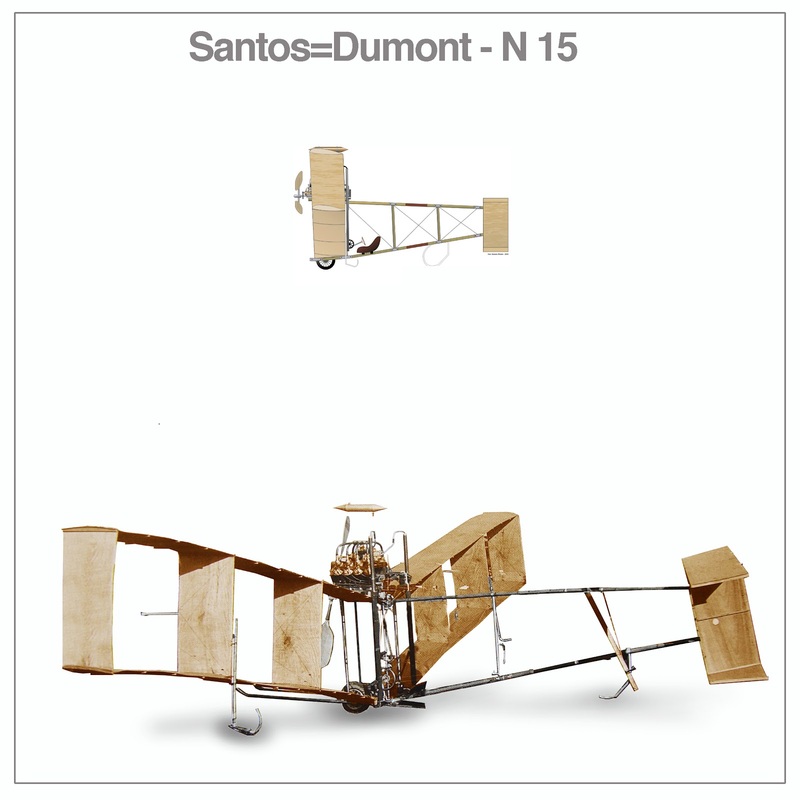 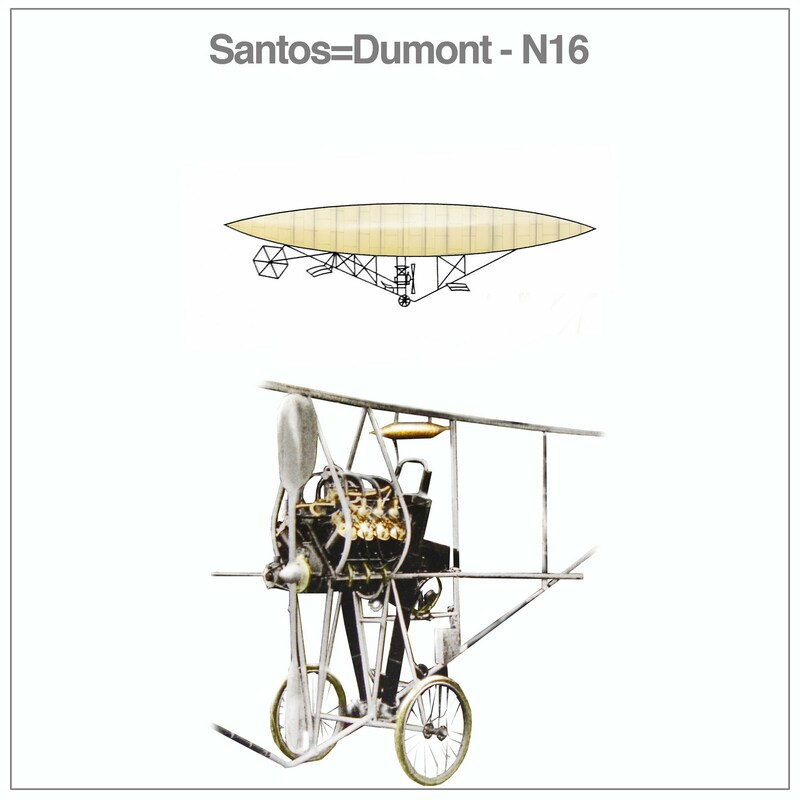 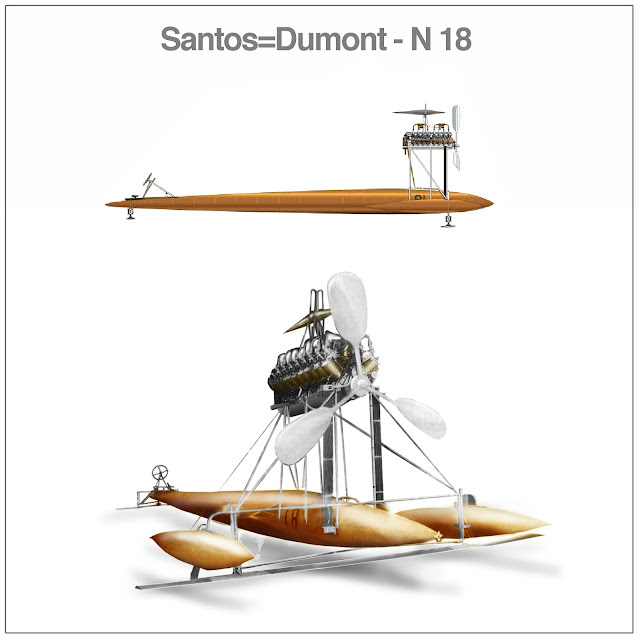 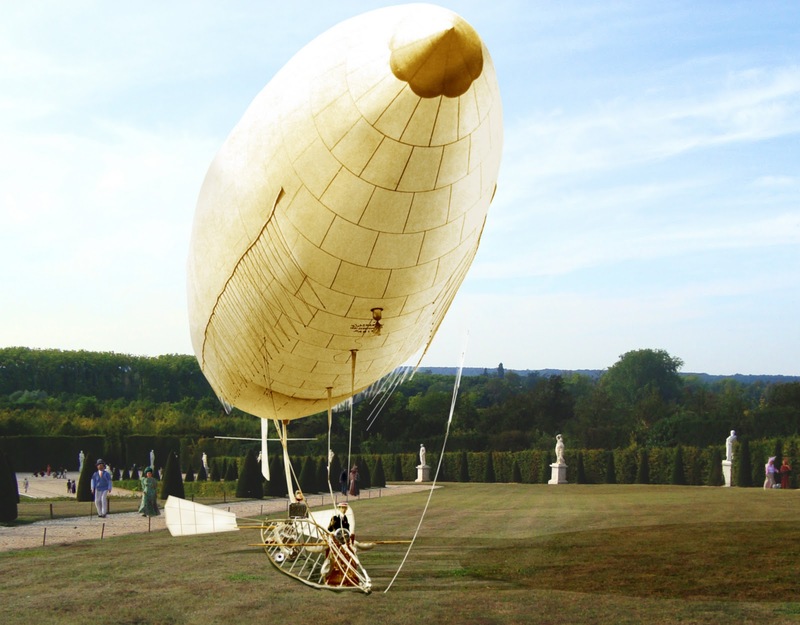 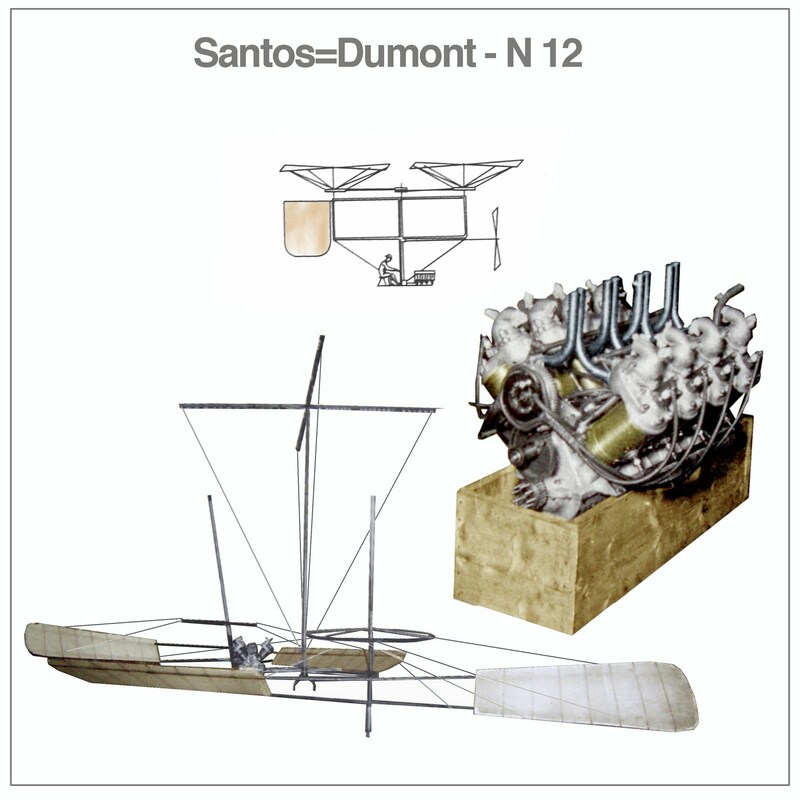 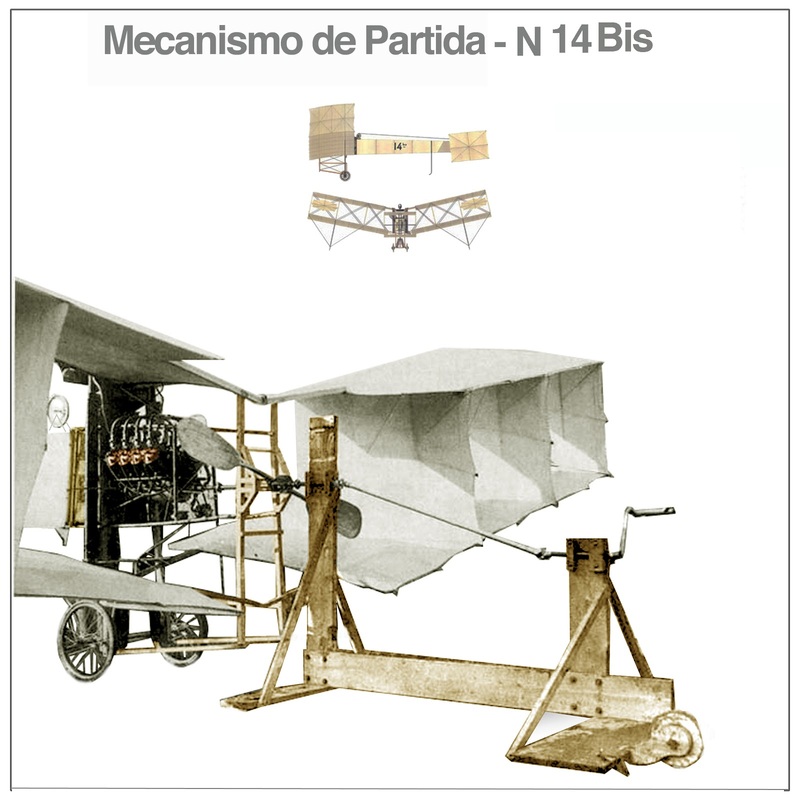 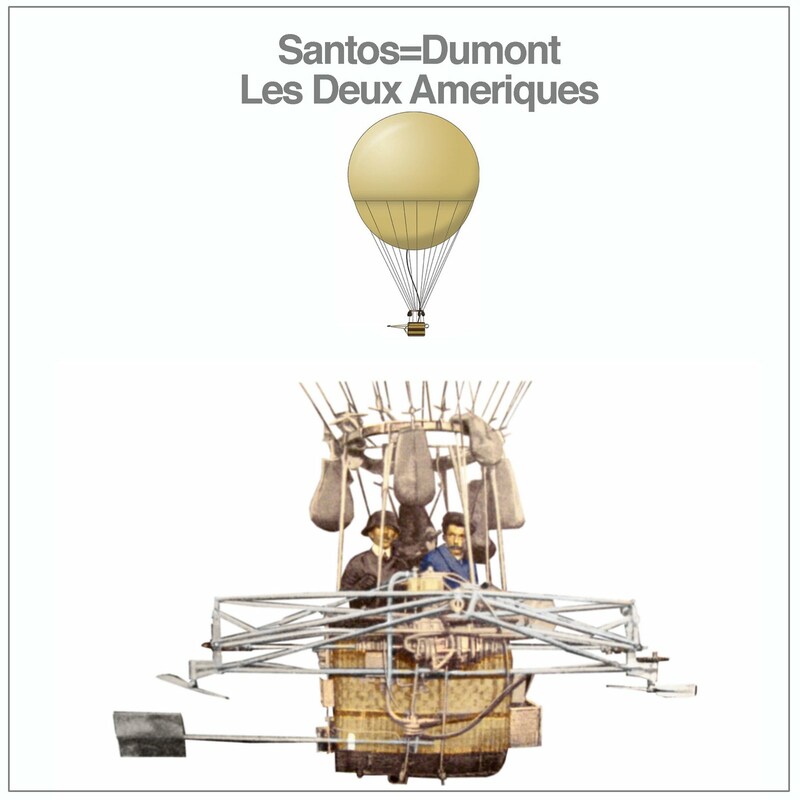 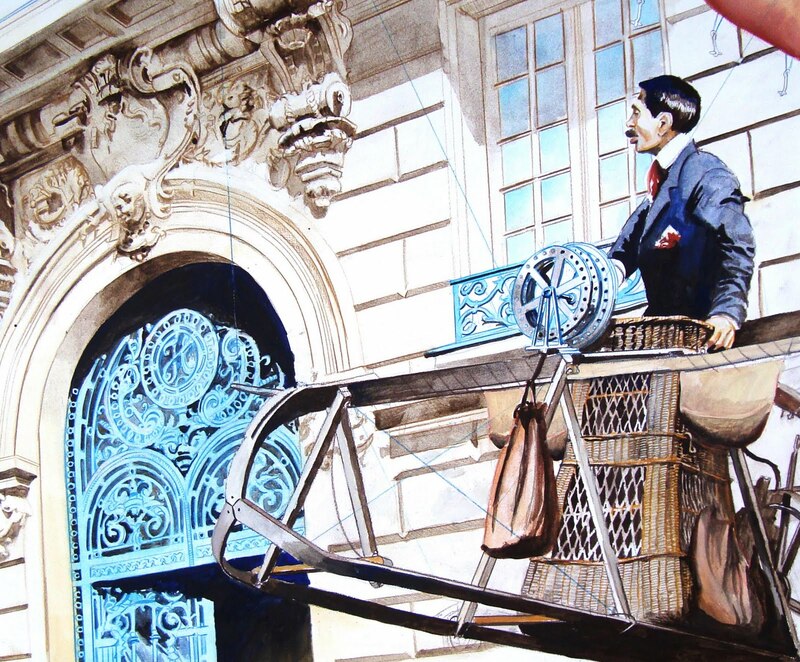 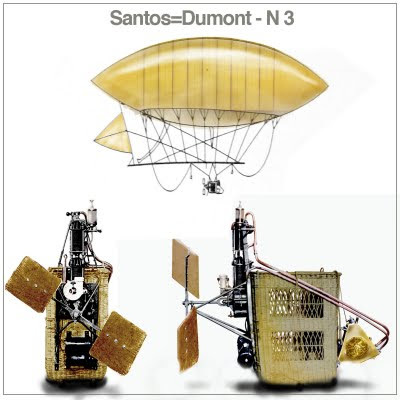 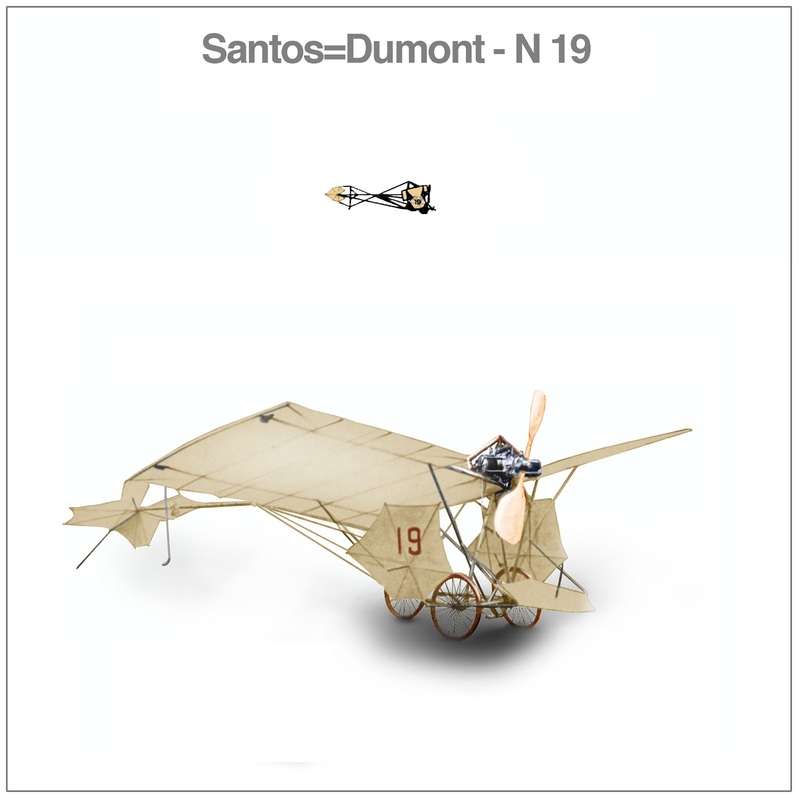 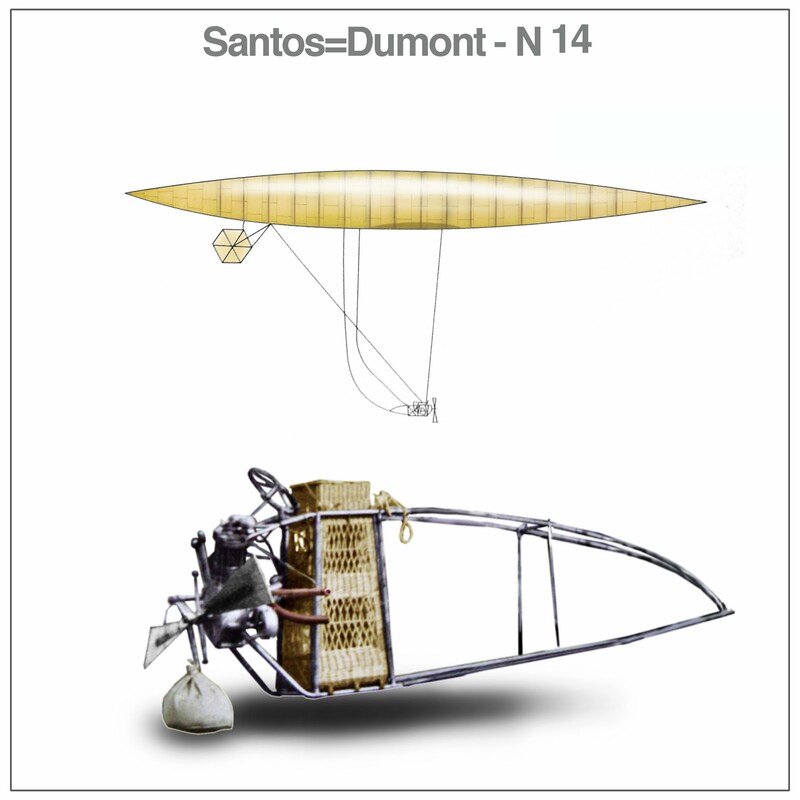 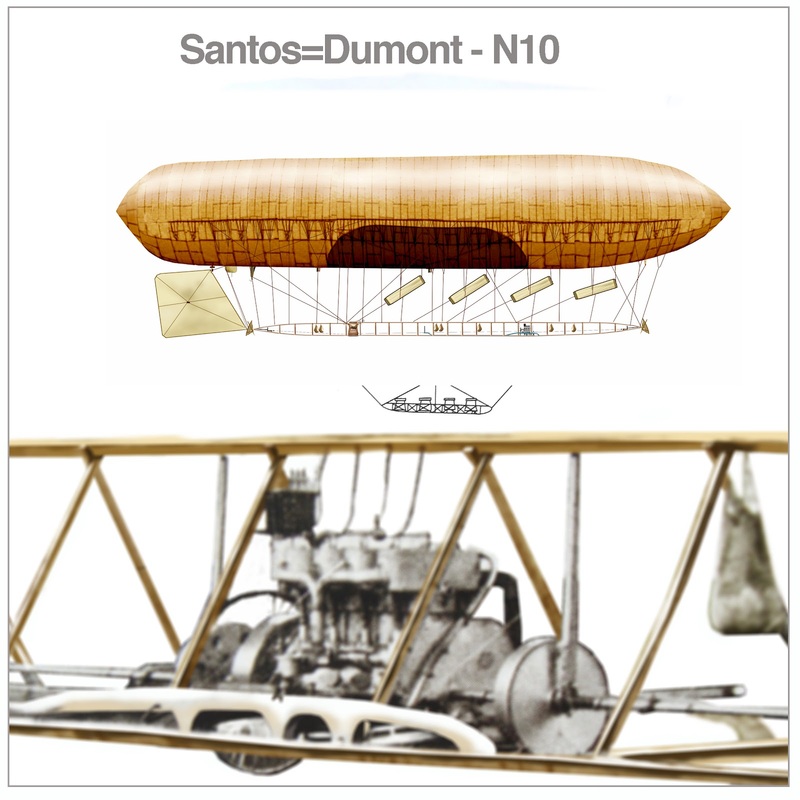 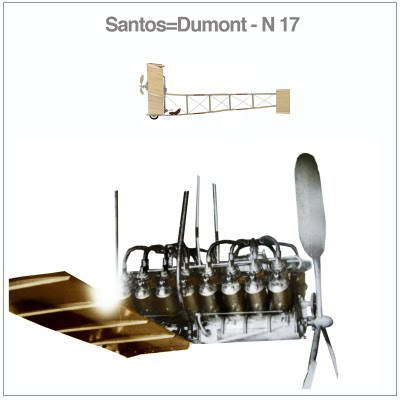 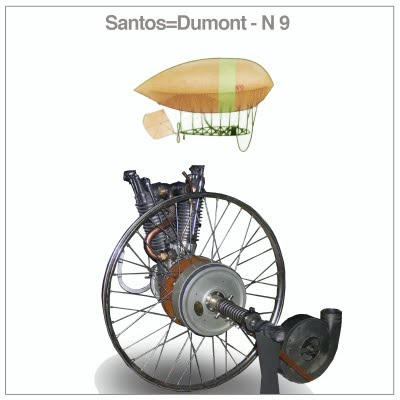 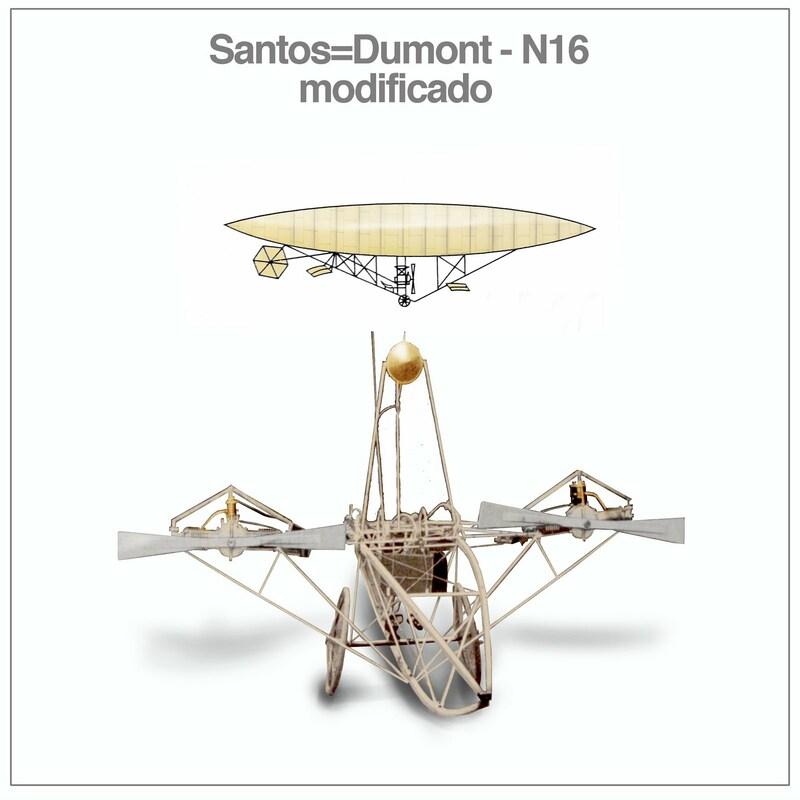 Find below the list of inventions of Santos-Dumont in chronological order. 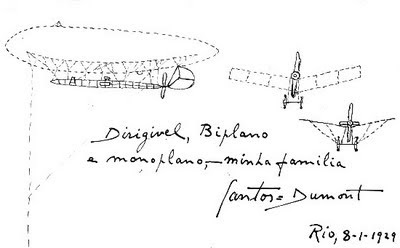 "Dirigible, biplane and monoplane, - My family, Rio de Janeiro, January 8, 1929". 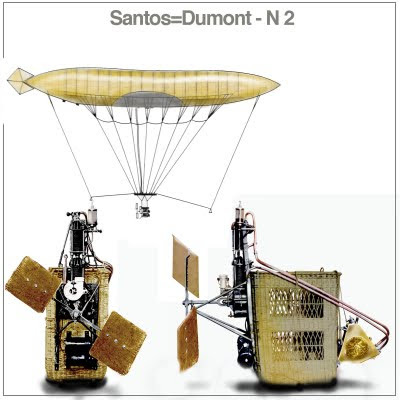 - Brazil – Smallest captive balloon ever created - with a wingspan of 6 feet in diameter, able to hold 113 m3 of hydrogen, weight 27.5 kg. 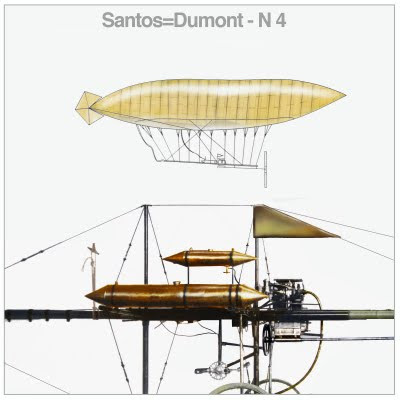 - --> Dirigible Number 1 – Santos=Dumont dispensed the web and held the cords directly to the involucre, suffered falls on 18 September and 20 September 1898. - -->Dirigible Number 6 - First flight on 06 September 1901, S=D made ​​changes at the helm, won the prize in Deutsch October 19, 1901, was destroyed in the accident in Monaco on 14 February 1902. 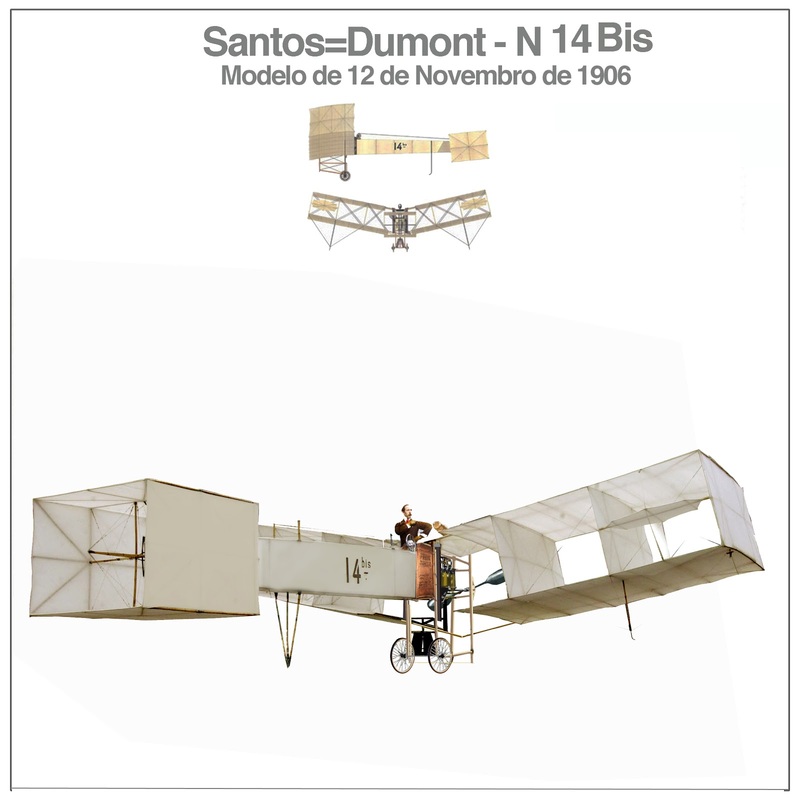 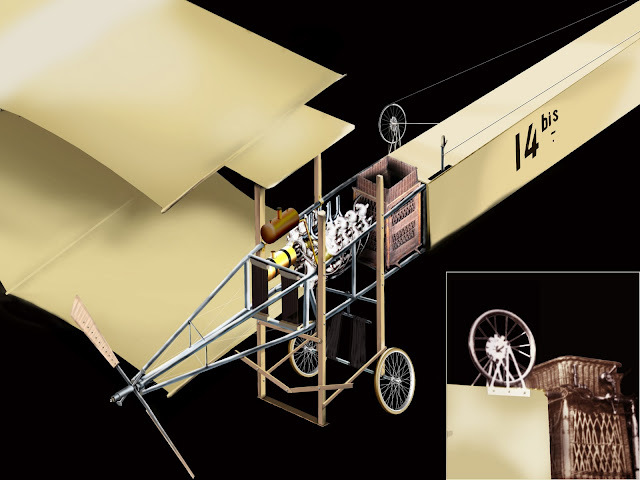 - 14 Bis airplane - Built in 1906, made ​​a short flight at Bagatelle Field on 04 September 1906, flew 7-8 meters on September 13, 1906, won the Archdeacon Cup on October 23, 1906 with a flight of 60 meters to 3 meters high, 220m. 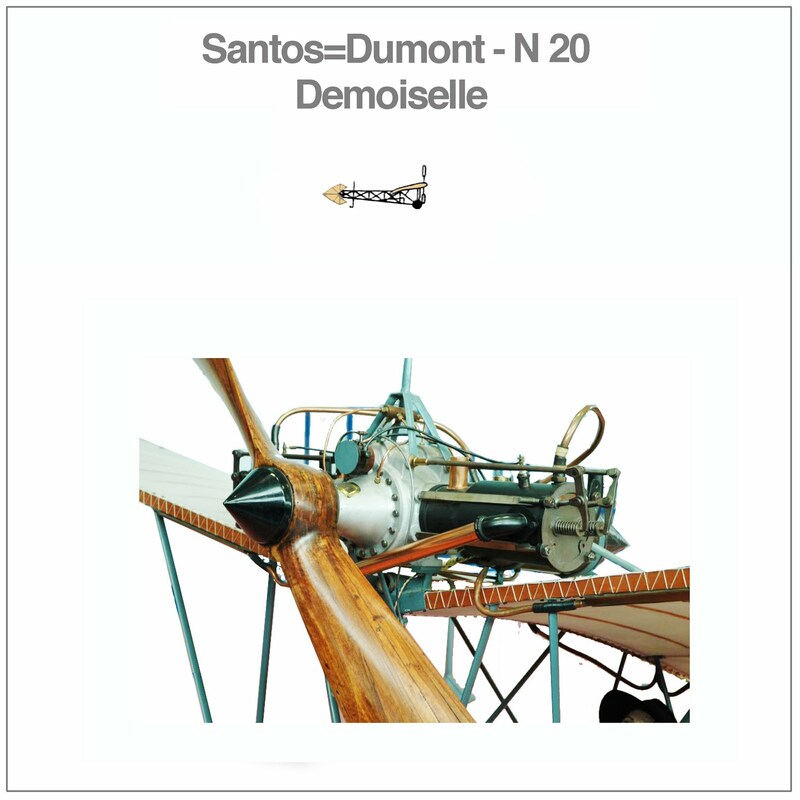 Flew 6 meters high on November 12, 1906 and won the prize Aeroclub of France - IT WAS THE FIRST DOCUMENTED FLIGHT IN THE HISTORY OF AVIATION, Destroyed in SaintCyr on April 04 1907. 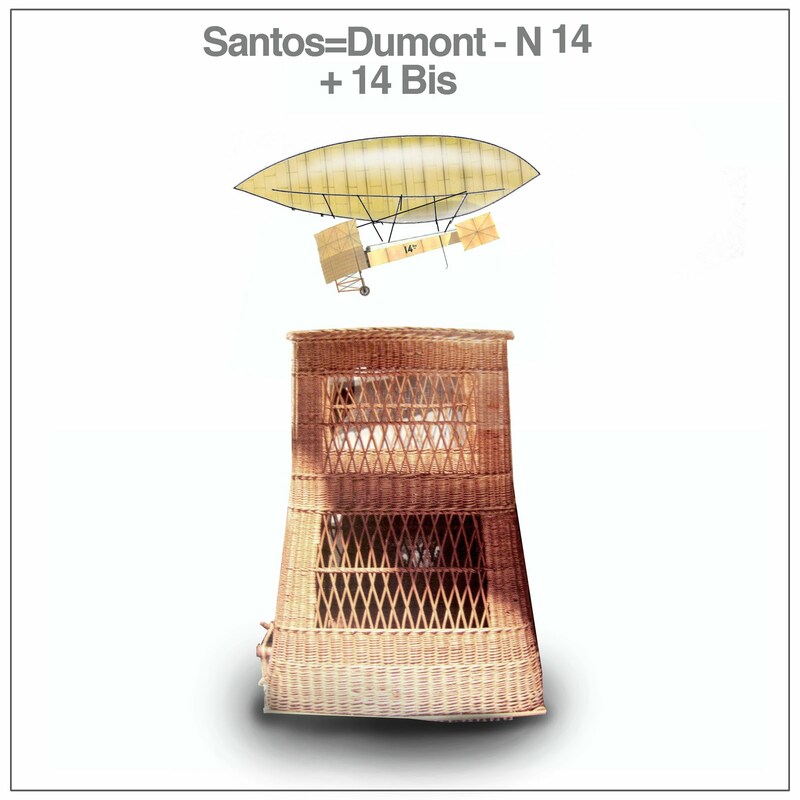 Click on the image above to see how the airplane 14 a blimp in conjunction with number 14 was unstable. It was 9.6 meters long, 11.46 meters wingspan, 290 kg, and an Antoinette 50 hp engine used to activate a 2m propeller. We could see in the photo a specially constructed contraption used to start the engin. Airplane Number 15 - built in plywood, had tests on days 21, 24 2 March 27, 1907, was too unstable to fly.